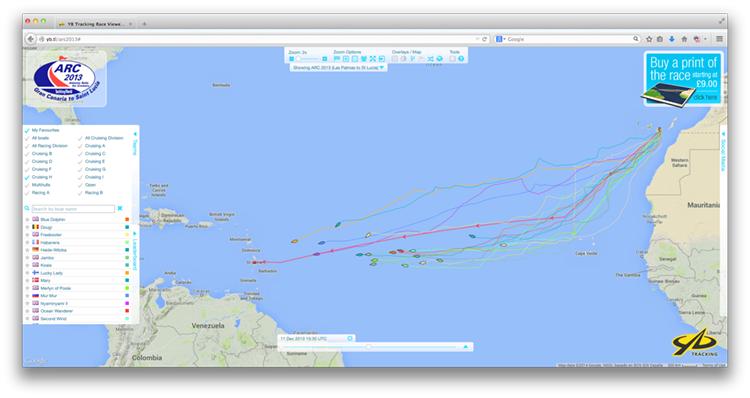 Our services are used across the world for yacht races and regattas, we provide tracking for about 200 events per year. We provide tracking for all of the big events such as The Fastnet, Sydney Hobart, The ARC - as well as smaller events with just a few boats taking part. Our YB trackers have very large battery capacities, and are designed to work for long durations. When the trackers arrive with you, they just need to be attached to the stern rail of the boat using our quick velcro-mount, and then turned on by pressing a button. We take it from there, and make sure that the units are working, and help get everything ready for the start of the race.